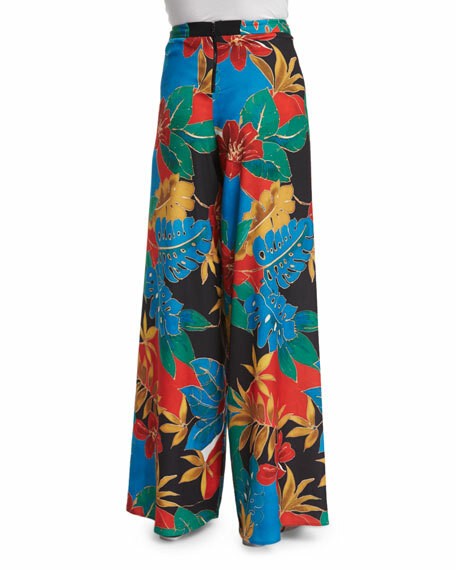 Alice + Olivia "Elinor" pants in floral print. Approx. measurements: 13" rise; 35" inseam; 47" outseam; 17" leg opening. 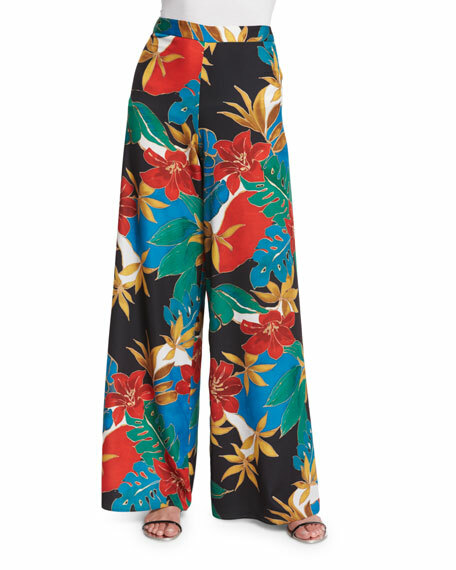 Relaxed fit through super-flared wide legs. 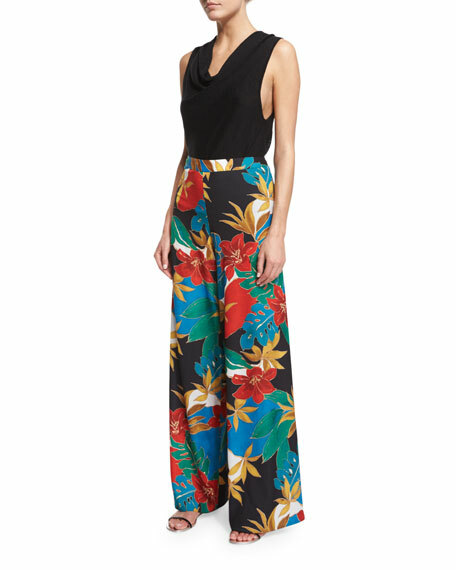 For in-store inquiries, use sku #1789072.